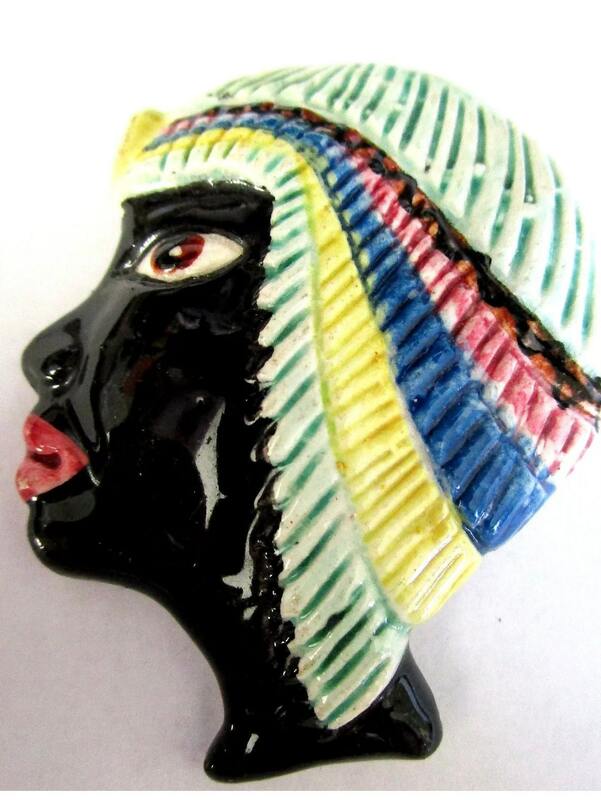 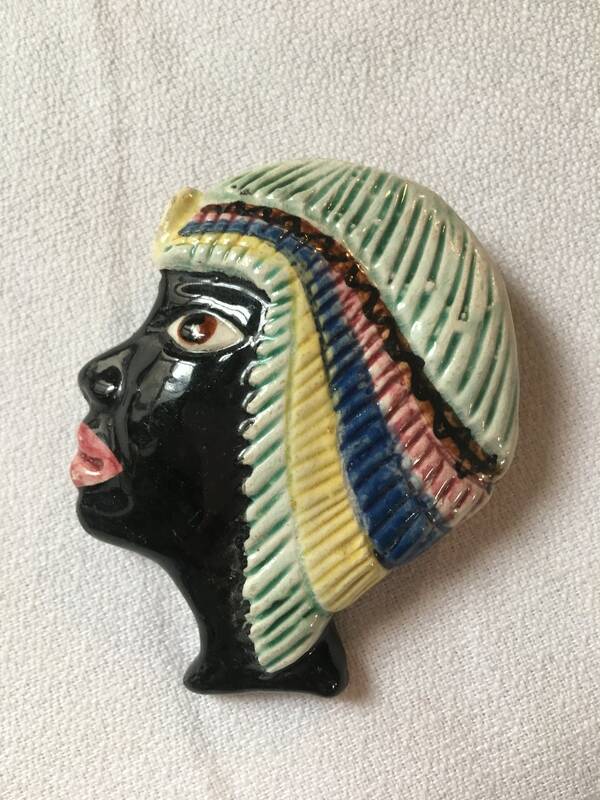 THis beautiful vintage pin is a painted porcelain Egyptian revival head. 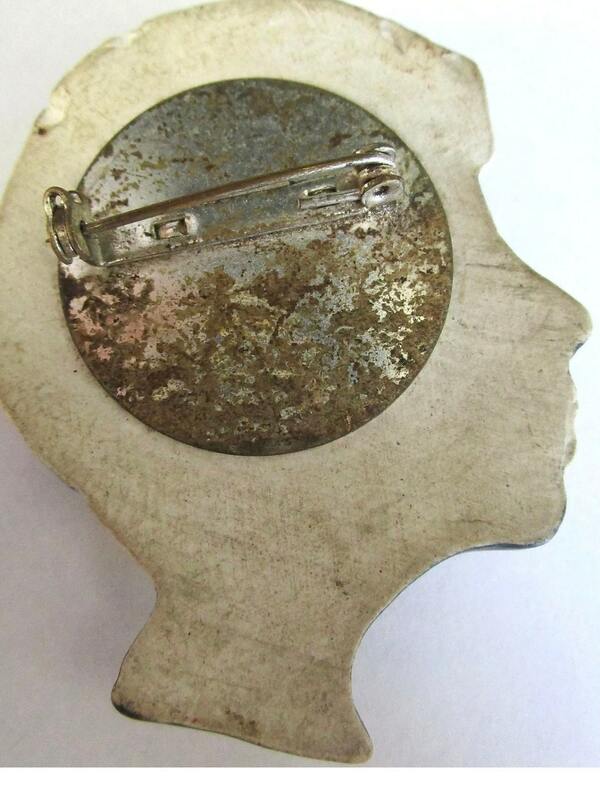 It is 2 1/2". 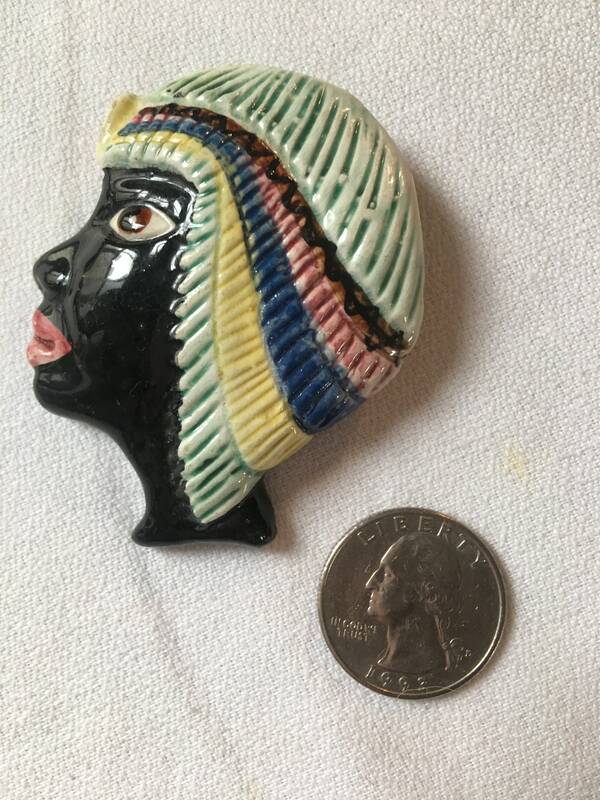 Great old piece!